Hi Kate, welcome to Weaning Wisdom Wednesdays. Please start by introducing yourself and your family. 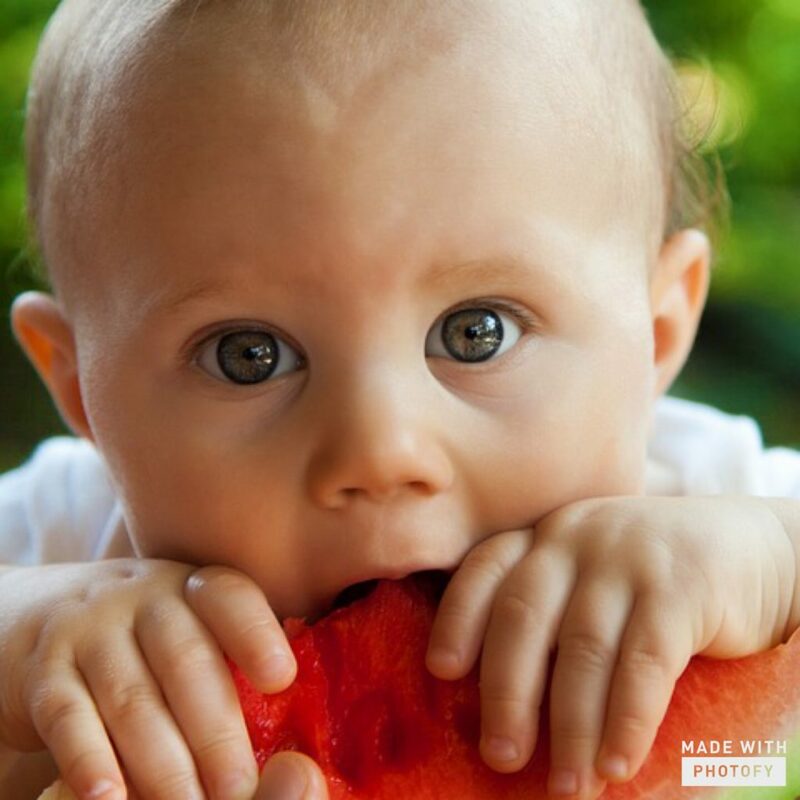 What method of weaning are you using? I remember feeling really bamboozled about the titles. I thought BLW sounded really posh. I wondered why it was different ‘these days’ when my Mam told me I used to have everything liquidised. I didn’t understand why starting at 3-4 months was no longer advocated by the Dept of Health anymore, but once I looked into it I understood that things have moved on. I waited until just after 6 months mainly because we went on holiday to Portugal then New York and I wanted to wait until we were home to start in the comfort of my own home. I did have a go in Portugal buying what I thought was a sweet potato. When I boiled it it turned purple so that didn’t work! Her first solid food there was mushed avocado in Portugal. I stuck to milk until we got home as it was difficult to get hold of the stuff I wanted on holiday. What are baby’s favourite and least favourite foods? She loves banana and pasta. Now she is getting more independent, she doesn’t like me feeding her with the spoon but hasn’t quite got the hang of it herself. We have food in her hair and over the walls most breakfast times! What sort of food does baby eat when you’re out and about? I have found a real lack of healthy BLW style foods to buy ‘on the go’. I never got on with the puree pouches. I really like Little Fingers Baby Food (set up by a local Mum) if I need convenience. When I bake I often make a batch of cheese & leek muffins with grated carrot and courgette in for extra goodness! Pancakes and oat muffins are great to make too for when needed. She is happy with a cream cheese sandwich too. I love the BLW Recipe Cookbook App for new ideas. 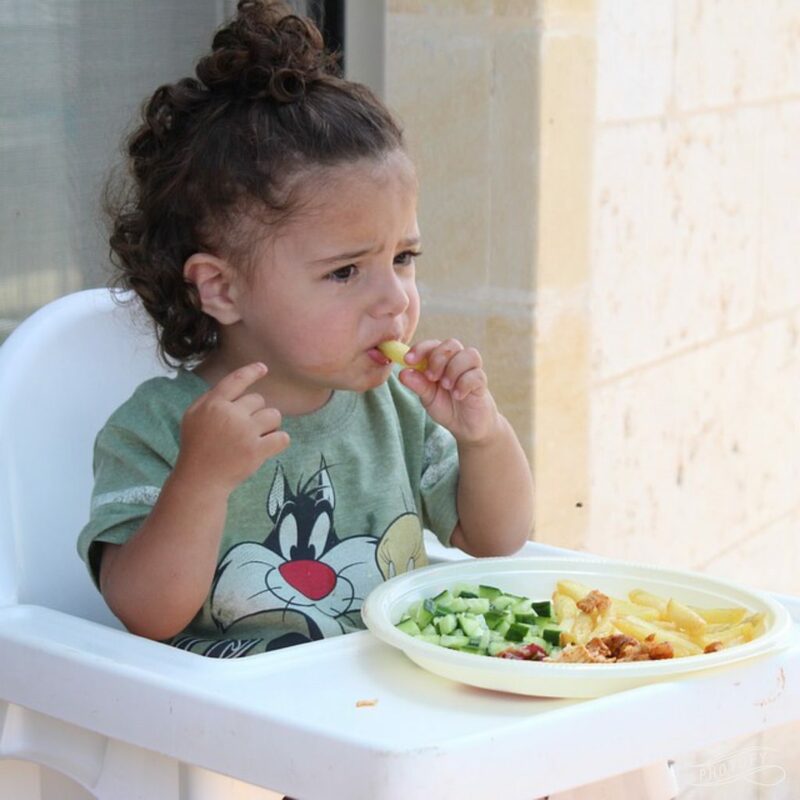 What highchair do you use? Do you recommend it to other Mums? We bought one from Mothercare but it padded and difficult to wipe clean. When she was sick on it a few months back it prompted me to by the IKEA Antilop. Perfect! I wish I had bought that originally, but I couldn’t face going to the store ( I always spend a fortune!). It is a real annoyance that most cafes and restaurants have the wooden highchairs with no trays. This makes BLW more difficult when out and about as there is nowhere to put the baby’s food! Not for me as I don’t eat it myself but each to their own. 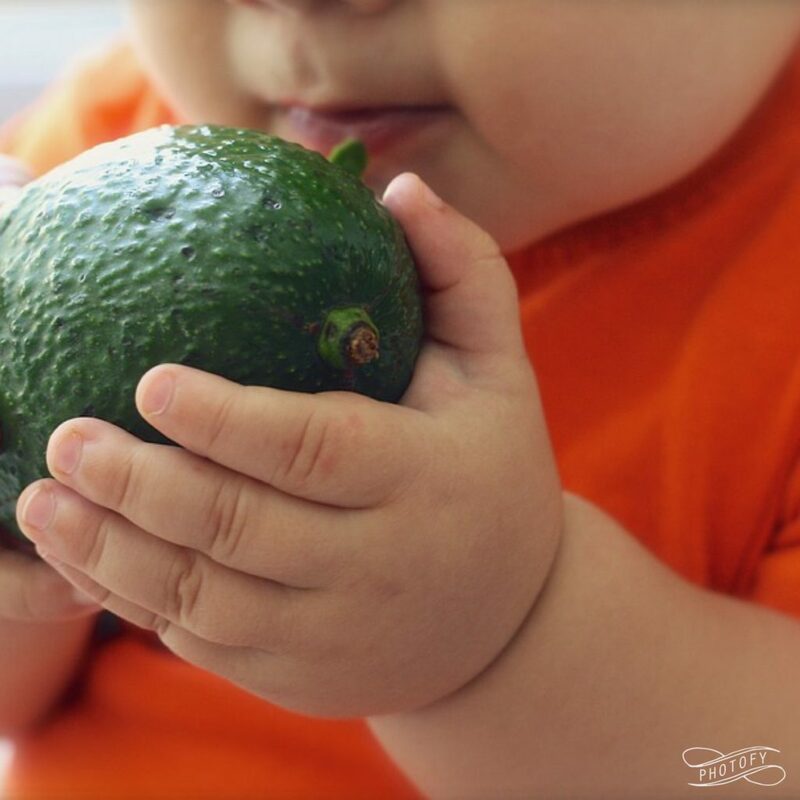 What’s been the most challenging aspect of your weaning journey? Worrying about baby choking. I recently held a baby first aid workshop event to help parents understand the difference between choking and gagging. No matter how much someone tells you that your babies gag reflex is natural, it will never stop you being afraid that your baby will choke on a piece of food.I would recommend all parents and grandparents/ carers going on a first aid course to understand what to do if a baby is choking. My Mam couldn’t understand why I wasn’t introducing purees from 4 months like she did for us, but she respected that things have changed. Do you meal plan or just offer whatever is available in the fridge? Now that my daughter is at nursery 3 days a week there is less preparation needed. On the days she is with me, I have usually batch cooked some snacks or have some vegetables steamed and past boiled ready. Tins of tuna are easy and nutritious. Avocados are a total god send – superfood and so easy! What tools have you bought that have been invaluable? NCT weaning course, first aid course, IKEA high chair, Tommee Tippee cup, BLW recipe App, mini storage containers, insulated lunch bag. I wouldn’t worry so much if she didn’t seem to like something anymore – let’s face it we as adults have days where we just want carbs! If you could give one piece of advice to new Mums who are about to start weaning, what would it be? Do a first aid course to feel more confident about gagging versus choking and what to do. This will give you more confidence with BLW and finger foods. I also found doing an Introduction To Solids course with my NCT friends really helpful when the babies were about 4 months. Helped me get my head around things. Definitely agree about a first aid course, I did one with some friends via our local children’s centre and it made me feel so much more confident!